Wally is an Emperor Penguin from Antarctica who is always cold. When Wally learns about the Galapagos Islands, he immediately sets sail in search of warm weather and discovers an amazing world of tap-dancing crabs, racing hundred-year-old tortoises and diving birds with bright blue feet. 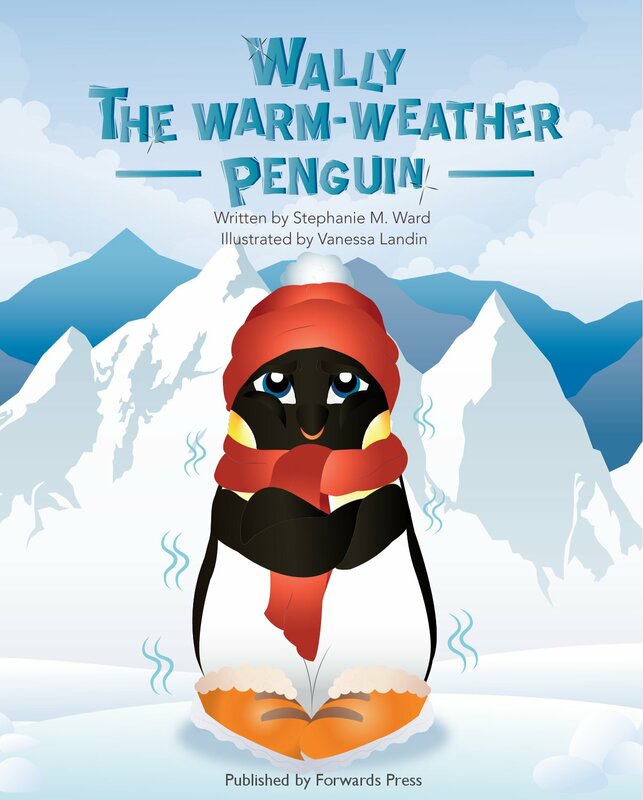 Introduce children to the incredible animals in the Galapagos Islands through an adventurous young penguin in Wally the Warm-Weather Penguin. I love children’s books because they can be incredibly creative, touching, educational, funny and engaging all at once. The purpose of my writing is to try to teach children something new about the world around them, but I also think it’s important to keep parents in mind because if they hate reading the book, it may just disappear! Writing for children, especially young children, is unique because authors need to remember there is a completely separate audience to sell to that will be intimately involved in using the product. Write your story. If your story can’t be defined in a specific genre or written in the traditional format, there are many options for authors to get a book into readers hands. I have met some talented indie authors whose wonderful children’s books are longer than the 1000 word maximum that an agent will accept for review. It’s a whole new world in publishing today, so don’t worry that your idea doesn’t “fit”, just write your story! Visiting Antarctica and being amidst Emperor Penguins in the icy conditions made me wonder why they didn’t just pack up and go somewhere warm. A couple of months later, I was in the Galapagos Island and saw a colony of Galapagos Penguins and there was the story: What if an Emperor Penguin learned that he could live on a warm, tropical island? The Galapagos Islands is an amazing place with many indigenous plants and animals. In publishing Wally the Warm-Weather Penguin, I wanted to give back to the place that inspired the story. To that end, a portion of the proceeds from the sale of Wally the Warm-Weather Penguin is donated to the Galapagos Conservancy (galapagos.org) to support conservation efforts in the Galapagos Islands.